This Intermediate Assessment 2017 is a result of the efforts of many scientists, experts and managers from around the North-East Atlantic, in coordination with representatives of 16 Contracting Parties and the staff of the OSPAR Secretariat. Funding to make this work possible was provided by Contracting Parties, including the European Union. A great thank you! goes to authors, editors, conveners and chairs of groups and committees, scientists and assistants, and all those involved in data collection. To the project team - lead by Prof. Colin Moffat and Ms. Jennifer Godwin - please accept OSPAR’s appreciation for the excellent work you have done! The Intermediate Assessment 2017 makes use of new indicators and methods and breaks new ground in many areas of marine science. In some cases, improvements are noticed which signal that the management of human pressures is having a positive effect. In other cases, pressures are still affecting the marine environment negatively and there is a call for action. The process to produce this assessment delivered a common knowledge base and enabled new cooperative relations between our national experts and managers. There are no words to express the value of this, as coordinated action is at the heart of successful marine management. It is my hope as the Chair of OSPAR, and also as a citizen living on the coast of the North Sea, that all concerned will use the Intermediate Assessment 2017 to improve the health of our seas. A countless number of people have contributed to making the Intermediate Assessment 2017 a success. Some of the key people involved are listed below. Emily Corcoran, Jo Foden, Jennifer Godwin, Barbara Middleton, Colin Moffat, John Mouat, Bernardas Padegimas and Carolyn Symon. Indicator lead authors: David Fleet (SH, DE), Willem van Loon (Rijkswaterstaat, NL), and Thomas Maes (Cefas, UK). The following individuals helped to develop OSPAR’s marine litter assessments: Tycho Anker-Nilssen (NINA, NO), Arabelle Bentley (KIMO), Sesselja Bjarnadóttir (UAR, IS), Marijke Boonstra (NOORDZEE, Observer), Donal Cronin (HPLG, IE), Christina Dixon (WAP, Observer), Mareike Erfeling (RWS, NL), Johanna Eriksson (SwAM, SE), Keith Fairclough (RSPB, UK), David M Fleet (SH, DE), Jesus Gago (IEO, ES), Francois Galgani (IFREMER, FR), Gilles le Guillou (GoNM, FR), Nils Guse (FTZ, DE), Poul Hansen (Skagen, DK), Martin Heubeck (SOTEAG, UK), Julia Hunt (DEFRA, UK), Willem van Loon (RWS, NL), Loïc Kerambrun (CEDRE, FR), Francis Kerckhof (MUMM, BE), Susanne Kühn (WMR, NL), Thomas Maes (CEFAS, UK), Runar Mathisen (Norwegian Climate and Pollution Agency, NO), Marta Martinez-Gil (MAGRAMA, ES), Eric Meek (RSPB, UK), Jose Luis Buceta Miller (CEDEX, ES), Sandra Moutinho (DGRM, PT), Rick Nickerson (KIMO, Observer), Per Nilsson (SIME, SE), Conall O’Connor (HPLG, IE), Kåre Olsen (NOF-LL, NO), Lex W A Oosterbaan (RWS, NL), John Pedersen (Skagen, DK), Emma Priestland (Seas at Risk, Observer), Mervyn Roos (RWS, NL), Marie Russell (Marine Scotland, UK), Sarah Sananes (MTES, FR), Ralph Schneider (Plastics Europe, Observer), Lone Munk Søderberg (MFVM, DK), Eric Stienen (INBO, BE), Jacob Strand (DCE, DK), Dan Turner (Newcastle Uni, UK), Stefan Weiel (FTZ, DE), Kate Werner (WAP, Observer), Stefanie Werner (UBA, DE), and Jim Williams (RSPB, UK). Indicator lead authors: Margot Cronin (Marine Institute, IE), and Chantal Martens (dMOW-MT, BE). The following individuals helped to develop OSPAR’s Dredged Material assessment: Sylvia Blake (CEFAS, UK), Jose Luis Buceta (Cedex, ES), Julie Droit (Cerema, FR), Holger Haase (BAFG, DE), Sander De Jong (RWS, NL), Brigitte Lauwert (BMM, BE), Heiko Leuchs (BAFG, DE), Marion Messenger (Cerema, FR), and Joost van Nierop (RWS, NL). 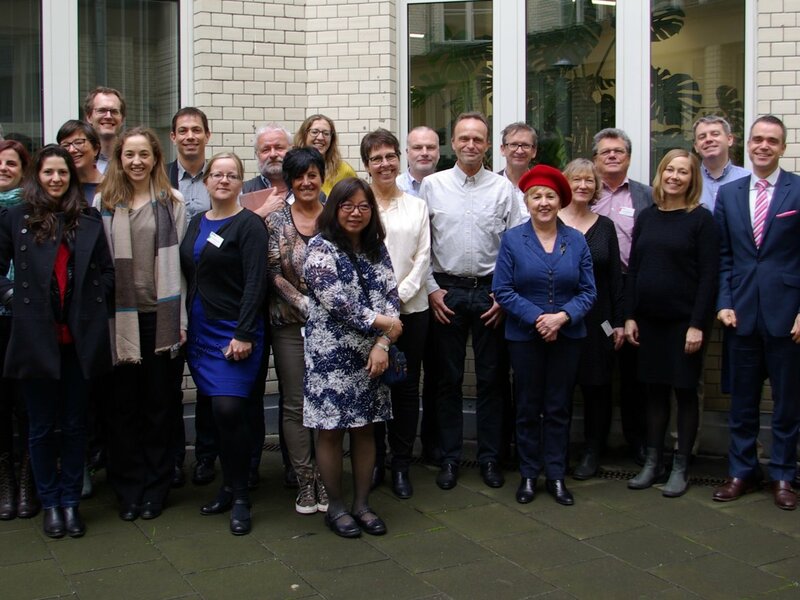 The following individuals helped to develop OSPAR’s Impulsive Noise assessment: Mathias Andersson (FOI, SE), Emma Barton (RYA, UK), Maria Boethling (BSH, DE), Tetrienne Box (JNCC, UK), Kate Brookes (Marine Scotland, UK), Joerg Bruednel (BSH, DE), Thomas Buchler (DWshipconsult), John Campbell (IOGP, Observer), Donal Cronin (HPLG, IE), René Dekeling (MIM, NL), Charlotte Findlay (JNCC, UK), Niels Kinneging (RWS. NL), Anne E Langaas (Norwegian Environment Agency, NO), Anne-Mette Hjortebjerg Lund (NST, DK), Signe Jung-Madsen (NST, DK), Marta Martinez-Gil Pardo de Vera (MAPAMA, ES), Thomas Merck (BfN, DE), John Mouat (OSPAR Secretariat), Andreas Mueller (MBBN, DE), Andreas Müller (MBBM, DE), Alain Norro (RBINS, BE), Noelia Ortega (CTNAVAL), Peter Sigray (FOI, SE), Jan Stenlokk (NPD, NO), Frank Thomsen (DHI, DK), Jakob Tougaard (DCE, DK), and Stefanie Werner (UBA, DE). The following helped to develop OSPAR’s assessment of trends in discharges, spills and emissions from offshore oil and gas installations: Ivan Abdoellakhan (NL), Sylvie Ashe (OSPAR Secretariat), Margot Cronin (IE), Emmanuel GARLAND (FR), Kurt Machetanz (GE), Emil Bach Madsen (DK), Mikael Palme Malinovsky (DK), Charlotte Mogensen (OSPAR Secretariat), Chris Moulton (OSPAR Secretariat), Henrik Bechmann Nielsen (DK), Ingeborg Rønning (NO), Anna Cecilie Skovgaard (DK), Tone Sørgård (NO), Andrew Taylor (UK) and the Offshore Industry Committee. The following individuals helped to develop OSPAR’s assessment of radioactive substances: Michel Chartier (IRSN, FR), Bruno Fiévet (IRSN, FR), Justin Gwynn (NRPA, NO), Kins Leonard (Cefas, UK), Andrew Mayall (EA, UK), Bernard Moutou (DGEC, FR), Mette Nilsen (NRPA, NO), Mark Pettitt (BEIS, UK), Nathalie Reynal (ASN, FR), Adam Stackhouse (SEPA, UK) and the Radioactive Substances Committee. 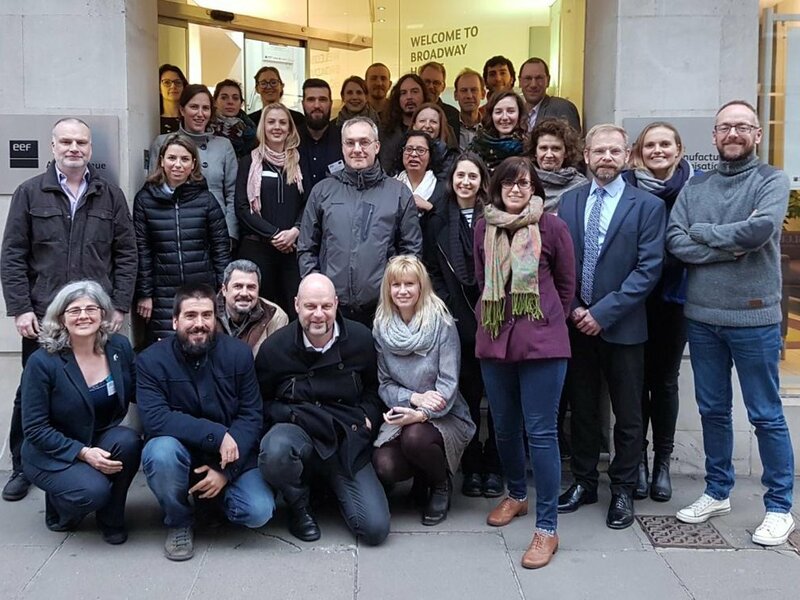 The following individuals helped to develop OSPAR’s MPA assessment: Helena Alvares (Oceana, Observer), Alice Belin (Seas at Risk, Observer), Pete Chaniotis (JNCC, UK), Emily Corcoran (OSPAR Secretariat), Jon Davies (JNCC, UK), Nicolas Fournier (Oceana, Observer), Zoe Gutteridge (JNCC, UK), Mirko Hauswirth (BfN, DE), Anna Karlsson (SwAM, SE), Michael Mcleod (Marine Scotland, UK), Chris Moulton (OSPAR Secretariat), Henning von Nordheim (BfN, DE), Laura Piriz (SwAM, SE), Benjamin Ponge (AFB, FR), Anne Souquière (AFB, FR), Rebekah Strong (JNCC, UK), Anne-Marie Svoboda (Ministry of Economic Affairs, NL), Aurélie Thomassin (AFB, FR), Lena Tingström (SwAM, SE), and Hugh Wright (JNCC, UK). Indicator lead authors: Steve Geelhoed (NL), Ian Mitchell (JNCC, UK), Nora Hanson (SMRU, UK), John Weinberg (JNCC, UK), and Jane Hawkridge (JNCC, UK). The following helped to develop OSPAR’s marine mammal assessments, collate data, analyse data and review the assessments: Matthieu Authier (U. La Rochelle Pelagis, FR), John Baxter (SNH, UK), Patrik Börjesson (SLU, SE), Sophie Brasseur (Wageningen Marine Research, NL), Julia Carlström (NRM, SE), Michelle Cronin (University College Cork, IE), Callan Duck (SMRU, UK), Peter Evans (U. Bangor, UK), Andrea Fais (U. Hannover, DE), Caterina Maria Fortuna (ISPRA, IT), Anders Galatius (DCE, DK), Anita Gilles (U. Hannover, DE), Ailsa Hall (SMRU, UK), Jan Haelters (RBINS, BE), Phil Hammond (SMRU, UK), Norbert Häubner (SwAM, SE), Jane Hawkridge (JNCC, UK), Helena Herr (U. Hannover, DE), Sven Koschinski (Meereszoologie, DE), Claire Lacey (SMRU, UK), Kelly Macleod (JNCC, UK), Ryan McKenna (JNCC, UK), Erik Meesters (U. University, NL), Chris Morris (SMRU, UK), Sinéad Murphy (ZSL, UK), Abbo van Neer (U. Hannover, DE), Kjell Nilssen (Inst. Marine Research, NO), Nils Øien (IMR, NO), Eunice Pinn (JNCC, UK), Roger Proudfoot (UK Environment Agency), Vincent Ridoux (CNRS Pelagis, FR), Debbie Russell (SMRU, UK), Maria Begona Santos (IEO, ES), Jerôme Spitz (Pelagis, FR), Jonas Teilmann (DCE, DK), J Vingada (SPVS, PT), Sacha Viquerat (U. Hannover, DE), Meike Scheidat Wageningen (Marine Research, NL), and Signe Sveegaard (DCE, DK). 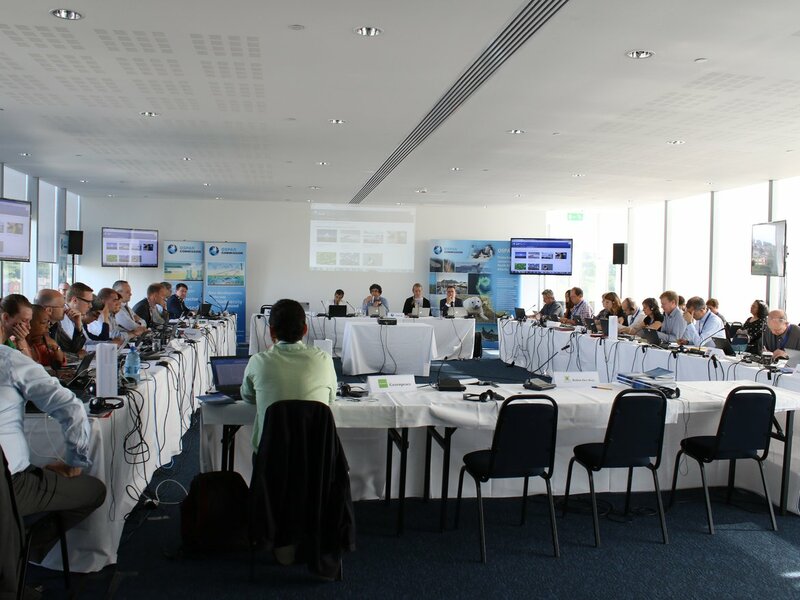 Furthermore the International Council for the Exploration of the Sea's Working group on Marine Mammal Ecology (ICES-WGMME), and the following groups provided data and reviewed drafts: Aberdeen University Lighthouse Field Station (UK), Groupe d’Etude des Cétacés du Cotentin, Cherbourg-Octeville (France), Sea Watch Foundation (UK), Shannon Whale and Dolphin Federation (Ireland), University College Cork (Ireland), Parc naturel marin d’Iroise (France), and Projecto Delfim – Portuguese Centre for the Study of Marine Mammals (Portugal). The following individuals helped to develop OSPAR’s Non-Indigenous Species assessment: Francisco Alemany (IEO, ES), Guy Bachelet (CNRS, FR), Ulrik Christian Berggreen (DCE, DK), João Canning Clode (MARE, PT), Katja broeg (BSH, DE), Dónal Cronin (HPLG, IE), Hugh Edwards (DAERA, UK), Laurent Guérin (MNHN, FR), Norbert Häubner (SwAM, SE), Kai Hoppe (BfN, DE), Saa Kabuta (NLBIF, NL), Francis Kerckhof (RBINS, BE), Jack Sewell (MBA, UK), and Frédérique Viard (SB-Roscoff, FR). Indicator lead authors: Philip Axe (SwAM, SE), Sara Danielsson (NRM, SE), Rob Fryer (Marine Scotland, UK), Dag Hjermann (NIVA, NO), Martin Mørk Larsen (DCE, DK), Thomas Maes (Cefas, UK), Lars Sonesten (SLU, SE), Lucia Viñas (IEO, ES), and Lynda Webster (Marine Scotland, UK). The following individuals helped to develop OSPAR’s contaminant assessments: Wenche Aas (NILU, NO), Philip Axe (SwAM, SE), Jerzy Bartnicki (Meteorological Institute, NO), Bert Bellert (RWS, NL), Marion Besançon (IFREMER, FR), Claudia Von Brömssen (SLU, SE), Thierry Burgeot (IFREMER, FR), Miguel Caetano (IPMA, PT), Jean-Francois Chiffoleau (IFREMER, FR), Sara Danielsson (NRM, SE), Aurelie Dubois (MTES, FR), Maria Engraff (DCE, DK), Eivind Farmen (Norwegian Environment Agency, NO), Rob Fryer (Marine Scotland, UK), Jose Fumega (IEO, ES), Michael Haarich (THUENEN, DE), Neil Holdsworth (ICES), Dag Hjermann (NIVA, NO), Dietmar Koch (UBA, DE), Martin Mørk Larsen (DCE, DK), Robin Law (Cefas, UK), Hermann Lenhart (U. Hamburg, DE), Sorcha Ni Longphuirt (EPA, IE), Thomas Maes (CEFAS, UK), Aourell Mauffret (IFREMER, FR), Brendan McHugh (Marine, IE), Andrea Houben-Michalková (RWS, NL), Elisabeth Nyberg (NRM, SE), Koen Parmentier (RBINS, BE), Patrick Roose (RBINS, BE), Stefan Schmolke (BSH, DE), Birgit Schubert (BAFG, DE), Ana Margarida Silva (DGRM, PT), Elena de la Maza (CEDEX, ES), Richard Moxon (DEFRA, UK), Foppe Smedes (DELTARES, NL), Eva Skarbøvik (NIBIO, NO), Marilynn Sørensen (ICES), Lars Sonesten (SLU, SE), Lars M. Svendsen (DCE, DK), Rudy Vannevel (VMM, BE), Lucia Viñas (IEO, ES), and Lynda Webster (Marine Scotland, UK). Indicator lead authors: Philip Axe (SwAM, SE), Hanneke Baretta-Bekker, Kate Collingridge (Cefas, UK), Annika Grage NLWKN, DE), Wera Leujak (UBA, DE), Stephen Malcolm (Cefas, UK), Suzanne Painting (CEFAS, UK),Theo Prins (Deltares, NL), Hans Ruiter (RWS, NL), and Lars Sonesten (SLU, SE). 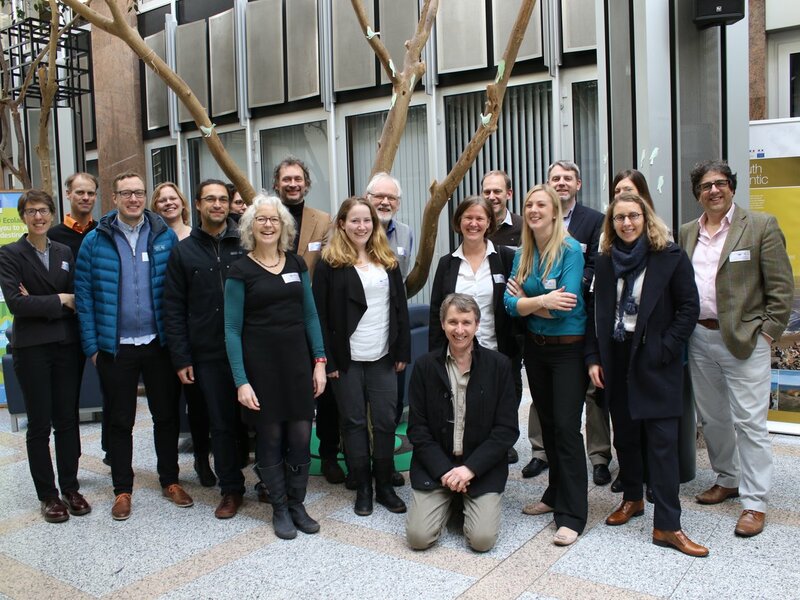 The following individuals helped to develop OSPAR’s eutrophication assessments through data analyses, scientific input or review: Wenche Aas (NILU, NO), Philip Axe (SwAM, SE), Hanneke Baretta-Bekker (NL), Bert Bellert (RWS, NL), Jon Barry (Cefas, UK), Jerzy Bartnicki (Meteorological Institute, NO), Marion Besançon (IFREMER, FR), Mike Best (UK Environment Agency, UK), Dr. Uwe H. Brockmann (U. Hamburg, DE), Claudia Von Brömssen (SLU, SE), Miguel Caetano (IPMA, PT), Ulrich Claussen (UBA, DE), Kate Collingridge (Cefas, UK), David Devreker (IFREMER, FR), Aurelie Dubois (MTES, FR), Eivind Farmen (Norwegian Environment Agency, NO), Jo Foden (OSPAR Secretariat), Luz Garcia (Cefas, UK), Annika Grage (NLWKN, DE), Naomi Greenwood (Cefas, UK), Dietmar Koch (UBA, DE), Helle Knudsen-Leerbeck (MST, DK), Alain Lefebvre (IFREMER, FR), Hermann Lenhart (U. Hamburg, DE), Wera Leujak (UBA, DE), Sorcha Ni Longphuirt (EPA, IE), Stephen Malcolm (CEFAS, UK), Stiig Markager (DCE, DK), Marta Martinez-Gil (MAGRAMA, ES), Elena de la Maza (CEDEX, ES), Richard Moxon (DEFRA, UK), Kjell Magnus Norderhaug (NIVA, NO), Shane O’Boyle (EPA, IE), Suzanne Painting (CEFAS, UK), Koen Parmentier (RBINS, BE), Carole Pons (IFREMER, FR), (Theo Prins (Deltares, NL), Lucy Ritchie (OSPAR Secretariat), Hans Ruiter (RWS, NL), Eva Skarbøvik (NIBIO, NO), Ana Margarida Silva (DGRM, PT), Lars M. Svendsen (DCE, DK), Lars Sonesten (SLU, SE), Rudy Vannevel (VMM, BE), Pamela Walsham (Marine Scotland Science, Scotland), Karin Wesslander (SMHI, SE), and Robert Wilkes (EPA, IE). Indicator lead authors: Nina Larissa Arroyo (IEO, ES), Valérie David (CNRS, FR), Simon Greenstreet (Marine Scotland, UK), Chris Lynam (Cefas, UK), Laetitia Petit (CNRS, FR), Gerjan Piet (WMR, NL), Izaskun Preciado (IEO, ES), Georges Safi (Unicaen, FR), Sandrine Serre (IMBE, FR), and Pauline Vouriot (IMBE, FR). The following individuals helped to develop OSPAR’s fish and food web assessments: Nina Larissa Arroyo (IEO, ES), Luis Felipe Artigas (CNRS-ULCO, FR), Anaïs Aubert (CNRS), Francisco Baldó (IEO, ES), Anik Brind’amour (IFREMER, FR), Elisa Capuzzo (CEFAS, UK), Pascal Claquin (UniCaen, FR), Eric Feunteun (MNHN, FR), Damien Delaunay (IFREMER, FR), Rodney Forster (U. Hull, UK), Didier Gascuel (Agrocampus Ouest, FR), Simon Greenstreet (Marine Scotland, UK), Ralf van Hal (WMR, NL), Jacco Kromkamp (NIOZ, NL), Francois Le Loc'h (IRD, FR), Chris Lynam (Cefas, UK), Victoria Magath (U. Hamburg, DE), Benoit Mialet (CNRS), Meadhbh Moriarty (Marine Scotland, UK), Nathalie Niquil (Unicaen, FR), Laetitia Petit (Unicaen, FR), Gerjan Piet (WMR, NL), Izaskun Preciado (IEO, ES), Roger Proudfoot (UK Environment Agency), Anna Rindorf (DTU Aqua, DK), Isabelle Rombouts (U. Lille 1), Axel Rossberg (Queen Mary University of London, UK), Georges Safi (Unicaen, FR), Sandrine Serre (IMBE, FR), Jonas Hentat Sundberg (SLU, SE), Ralf Thiel (U. Hamburg, DE), Pauline Vouriot (IMBE, FR) and Håkan Wennhage (SLU, SE). Indicator lead authors: Laurent Guérin (MNHN, FR), Cristina Vina-Herbon (JNCC, UK), Willem M.G.M. van Loon (RWS, NL), and Nina Schroeder (BfN, DE). 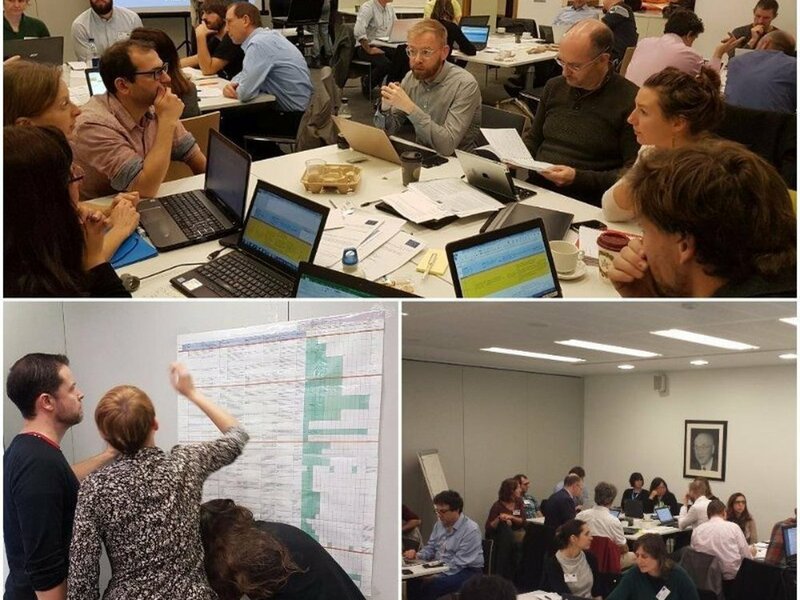 The following people helped to develop OSPAR’s benthic habitats indicators and assessment methods, collate and analyse data and review the assessment products: Annabelle Aish (MNHN, FR), John Baxter (SNH, UK), Tim Bildstein (BioConsult, DE), Abigayil Blandon (JNCC, UK), Mats Blomqvist (HAFOK, SE), Phil Boulcott (Marine Scotland, UK), Mike Campling (NRW, UK), Anita Carter (JNCC, UK), Emily Corcoran (OSPAR Secretariat), Gerard C.A. Duineveld (NIOZ, NL), Graeme Duncan (JNCC, UK), Jacques Grall (UBO, FR), Antoine Grémare (CNRS), Dan Edwards (JNCC, UK), Richard Emmerson (SIME, SE), Jenni Fincham (JNCC, UK), Jennifer Godwin (OSPA Secretariat), Laurent Guérin (MNHN, FR), Jørgen Hansen (DCE, DK), Jane Hawkridge (JNCC, UK), Kathrin Heinicke (BfN, DE), Cristina Vina-Herbon (JNCC, UK), Karin Heyer (DE), Gert van Hoey (ILVO, BE), José González-Irusta (IEO, ES), Gareth Johnson (JNCC, UK), Jochen Krause (BfN, DE), Axel Kreutle (BfN, DE), Marc Lavaleye (NIOZ, NL), Helen Lillis (JNCC, UK), Willem M.G.M. 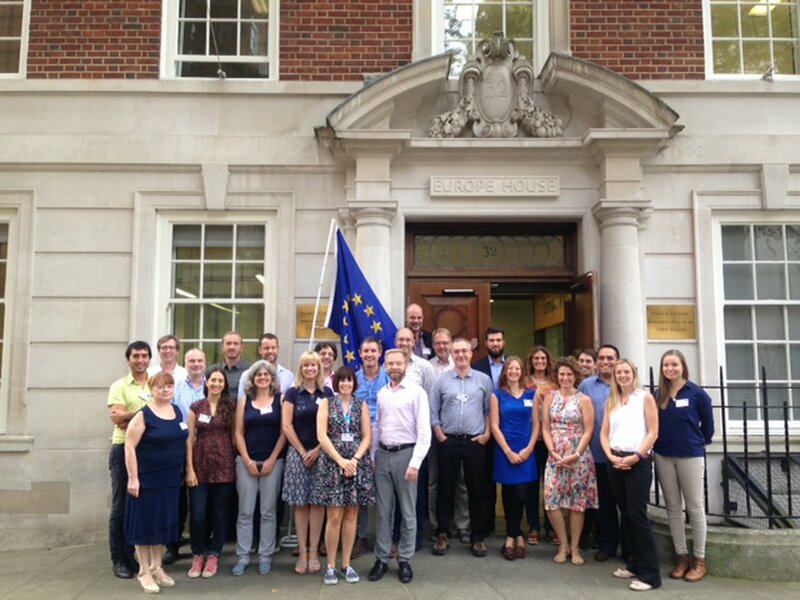 van Loon (RWS, NL), Tim Mackie (DAERA, UK), Bryony Meakins (JNCC, UK), Bernardas Padegimas (OSPAR Secretariat), Frankie Peckett (JNCC, UK), Roland Pesch (Bioconsult, DE), Laura Petit (JNCC, UK), Graham Phillips (EA, UK), Roger Proudfoot (UK Environment Agency), Marie La Rivière (MNHN, FR), Karen Robison (NRW, UK), Laura Robson (JNCC, UK), Hans Ruiter (RWS, NL), Antonia Nyström Sandman (AquaBiota, SE), Alberto Serrano (IEO, ES), Petra Schmitt (Bioconsult, DE), Jörg Scholle (Bioconsult, DE), Nina Schroeder (BfN, DE), Bastian Schuchardt (BioConsult, DE), Alberto Serrano (IEO, ES), Declan Tobin (JNCC, UK), Anna Torriente (IEO, ES), Dennis Walvoort (WUR, NL), Karen Webb (JNCC, UK), Penny Wilson (JNCC, UK), and Mike Young (Natural England, UK). Indicator lead authors: Abigail McQuatters-Gollop (U. Plymouth, UK), Anais Aubert (MNHN, FR), Isabelle Rombouts (MNHN and SBR, FR), Felipe Artigas (ULCO, FR), and Marie Johansen (SMHI, SE). The following individuals helped to develop OSPAR’s pelagic assessments: Yolanda Del Amo (CNRS), Luis Felipe Artigas (CNRS-ULCO, FR), Angus Atkinson (PML UK), Anais Aubert (MNHN, FR), Mike Best (UK Environment Agency UK), Eileen Bresnan (Marine Scotland Science UK), Kathryn Cook (Marine Scotland Science UK), Michelle Devlin (Cefas UK), Marie Duflos (CNRS), Abigail McQuatters-Gollop (University of Plymouth, UK), Richard Gowen (AFBI UK), Marie Johansen (SMHI, SE), David Johns (SAHFOS UK), Clare Ostle (SAHFOS UK), Roger Proudfoot (UK Environment Agency), Bernard Quéguiner (MIO), Isabelle Rombouts (MNHN and SBR, FR), Cordula Scherer (SAMS UK) and Paul Tett (SAMS UK). Indicator lead authors: Ian Mitchell (JNCC, UK), Aonghais Cook (BTO, UK), Graham French (JNCC, UK), Jane Hawkridge (JNCC, UK), Volker Dierschke (Gavia EcoResearch c/o BfN, DE), David Fleet (LKN-SH, DE), Tycho Anker-Nilssen (NINA, NO), Kees Koffijberg (SOVON, NL), Fredrik Haas (Lund U., SE), and Eric Stienen (INBO, BE). The following helped to develop the bird indicator assessments, collate data and reviewed the assessments and conducted data analysis: Céline Artero (MNHN, FR), Graham Austin (BTO, UK), Jan Blew (BioConsult SH GmbH & Co.KG, DE), Thomas Bregnballe (DCE, DK), Bernard Cadiou (Bretagne Vivante, FR), Preben Clausen (DCE, DK), Koen Devos (INBO, BE), Jochen Dierschke (IfV, DE), Morten Frederiksen (DCE, DK), Nils Guse (University of Kiel, DE), Neil Holdsworth (ICES Data Centre), Ana Jesus (JNCC, UK), Axel Kreutle (BfN, DE), Sven-Håkon Lorentsen (NINA, NO), Nele Markones (Kiel University, DE), Roddy Mavor (JNCC, UK) Leif Nilsson (Lund U., SE), Anna Osypchuk (ICES Data Centre), Ib-Krag Petersen (DCE, DK), Carlos Pinto (ICES Data Centre), Becky Phillips (JNCC, UK), Roger Proudfoot (UK Environment Agency), Gaëlle Simian (MNHN, FR), Ilka Winn (JNCC, UK). Delegates: Sagrario Arrieta Algarra (ES), Remi Buchet (FR), Darius Campbell (OSPAR Secretariat), Donal Cronin (IE), Stephen Dye (UK), Richard Emmerson (SE), Lisette Enserink (NL), Frank van den Ende (NL), Jo Foden (OSPAR Secretariat), Jennifer Godwin (OSPAR Secretariat), Sandra van der Graaf (NL), Helgi Jensson (IS), Richard Moxon (UK), Christina Fevejle Nielsen (DK), Karl Norling (SE), Eirik Drabløs Pettersen (NO), Lucy Ritchie (OSPAR Secretariat), Patrick Roose (BE), Lydia Roumegas (EC), Nina Schroeder (DE), Ana Tejedor (EEA), Paula Valcarce (ES), and Andrea Weiss (DE). Contributors: Sagrario Arrieta Algarra (ES), Marion Besançon (IFREMER, FR), Remi Buchet (FR), Darius Campbell (OSPAR Secretariat), Donal Cronin (IE), Stephen Dye (UK), Richard Emmerson (SE), Lisette Enserink (NL), Frank van den Ende (NL), Jo Foden (OSPAR Secretariat), Jennifer Godwin (OSPAR Secretariat), Sandra van der Graaf (NL), Helgi Jensson (IS), Colin Moffat (UK), Richard Moxon (UK), Christina Fevejle Nielsen (DK), Karl Norling (SE), Eirik Drabløs Pettersen (NO), Lucy Ritchie (OSPAR Secretariat), Lydia Roumegas (EC), Sarah Sananes (FR), Nina Schroeder (DE), Ana Tejedor (EEA), Isabelle Terrier (FR), Aurélie Thomassin (FR), Paula Valcarce (ES), and Andrea Weiss (DE). Contributors: Sagrario Arrieta Algarra (ES), Remi Buchet (FR), Arthur de Cambiaire (FR), Darius Campbell (OSPAR Secretariat), Donal Cronin (IE), Stephen Dye (UK), Richard Emmerson (SE), Lisette Enserink (NL), Frank van den Ende (NL), Jo Foden (OSPAR Secretariat), Jennifer Godwin (OSPAR Secretariat), Sandra van der Graaf (NL), Helgi Jensson (IS), Richard Moxon (UK), Christina Fevejle Nielsen (DK), Karl Norling (SE), Eirik Drabløs Pettersen (NO), Lucy Ritchie (OSPAR Secretariat), Patrick Roose (BE), Lydia Roumegas (EC), Nina Schroeder (DE), Carole Semichon (FR), Ana Tejedor (EEA), Isabelle Terrier (FR), Paula Valcarce (ES), and Andrea Weiss (DE). Contributors: Sagrario Arrieta Algarra (ES), Remi Buchet (FR), Darius Campbell (OSPAR Secretariat), Donal Cronin (IE), Richard Emmerson (SE), Lisette Enserink (NL), Frank van den Ende (NL), Jo Foden (OSPAR Secretariat), Jennifer Godwin (OSPAR Secretariat), Sandra van der Graaf (NL), Helgi Jensson (IS), Colin Moffat (UK), Charlotte Morgensen (OSPAR Secretariat), Richard Moxon (UK), Christina Fevejle Nielsen (DK), Karl Norling (SE), Eirik Drabløs Pettersen (NO), Lucy Ritchie (OSPAR Secretariat), Patrick Roose (BE), Lydia Roumegas (EC), Nina Schroeder (DE), Carole Semichon (FR), Ana Tejedor (EEA), Isabelle Terrier (FR), Paula Valcarce (ES), and Andrea Weiss (DE). The lead authors were supported in the drafting of this chapter by the Intersessional Correspondence Group on Economic and Social Analysis (ICG-ESA). The lead author was supported in the drafting of this chapter by the Intersessional Correspondence Group on Cumulative effects (ICG-C): Sophie Beauvais (FR), Thomas Backhaus (SE), Hans-Peter Damian (DE), Eva Degré (NO), Lisette Enserink (NL), Rob Gerits (NL), Linus Hammar (SE), Ingela Isaksson (SE), Antony Knights (U. Plymouth, UK), Samuli Korpinen (FI), Marta Martinez-Gil (ES), Thomas Merck (DE), Isabel Moreno (ES), Lex W A Oosterbaan (NL), Eirik Drabløs Pettersen (NO), Johnny Reker (EEA), Leo de Vrees (NL), and Ralf Wasserthal (DE). Delegates: Stefan Asmundsson (NEAFC), Gunnstein Bakke (NO), Alasdair Bain (UK), Alice Belin (Seas at Risk), Nicola Breier (DE), Sesselja Bjarnadottir (IS), Jon Burgwald (Greenpeace), David Connor (EC), Emily Corcoran (OSPAR Secretariat), Dónal Cronin (IE), Richard Emmerson (SE), Jens Enemark (DE), Nicolas Fournier (Oceana), Steve Geelhoed (NL), Katie Gillham (UK), Jennifer Godwin (OSPAR Secretariat), Claire Gouvary (Robin des Bois), Sandra van der Graaf (NL), Simon Greenstreet (UK), Laurent Guérin (FR), Jan Haelters (BE), Norbert Häubner (SE), Jane Hawkridge (UK), Janos Hennicke (DE), Cristina Vina Herbon (UK), Peter Heslenfeld (NL), Kari Holden (NO), Anna Karlsson (SE), Willem van Loon (NL), Stephan Lutter (WWF), Christopher Lynam (UK), John Mouat (OSPAR Secretariat), Victoria Magath (DE), Michael McLeod (UK), Ilse De Mesel (BE), Barbara Middleton (OSPAR Secretariat), Ian Mitchell (UK), Christina Fevejle Nielsen (DK), Henning von Nordheim (DE), Lex Oosterbaan (NL), Sara Prados (ES), Annelien Ramakers (WWF), Ane-Marie L Raun (DK), Matthias Steitz (DE), Nina Schroeder (DE), Anne-Marie Svoboda (NL), Mark Tasker (ICES), Aurelie Thomassin (FR), Kirsten Thompson (Greenpeace), Benoit Tourtois (FR), Antonio Fernandez G Vinuesa (ES), Sebastian Valanko (ICES), Jeroen Vis (NL), and Pauline Vouriot (FR). Delegates: Bruni Auriane (FR), Philip Axe (SE), Peter Barham (ICPC), Emma Barton (EUROPEAN BOATING ASSOCIATION), Arabelle Bentley (KIMO), Fabrice Bosca (FR), Darius Campbell (OSPAR Secretariat), John Campbell (IOGP), Julie Cook (UK), Jan Schmidtbauer Crona (SE), Dónal Cronin (IE), Margot Cronin (IE), Richard Cronin (IE), Hans-Peter Damian (DE), Eva Degré (NO), René Dekeling (NL), Julie Droit (FR), Mareike Erfeling (NL), Narumon Withers Harvey (UK), Adrian Judd (UK), Matthew Kinmond (UK), Laura Lallier (CEDA), Anne E Langaas (NO), Brigitte Lauwaert (BE), Heiko Leuchs (DE), Anne-Mette Hjortebjerg Lund (DK), Neil Holdsworth (ICES), Terrance P. Long (idum), Willem van Loon (NL), Thomas Maes (UK), Runar Mathisen (NO), Chantal Martens (BE), Nathan Merchant (UK), Thomas Merck (DE), Marion Messager (FR), Jose L. Buceta Miller (ES), Gunnar Mӧller (SE), John Mouat (OSPAR Secretariat), Christina Fevejle Nielsen (DK), Conall O’Connor (IE), Laura Piriz (SE), Lucy Ritchie (OSPAR Secretariat), Sarah Sananes (FR), Andrew Scarsbrook (UK), Ralph Schneider (Plastics Europe), Harald Sørby (NO), Philip Stamp (UK), Louisa Crijns-Tan (NL), Marta Martinez-Gil Pardo de Vera (ES), Ralf Wasserthal (DE), Philip P.E. Weaver (Seascape), and Stefanie Werner (DE). Delegates: Philip Axe (SE), Rob Berbee (NL), Marion Besançon (FR), Uli Claussen (DE), Eleanor Dening (OSPAR Secretariat), Michelle Devlin (UK), Jo Foden (OSPAR Secretariat), Nicolas Hoepffner (EC), Andrea Houben (NL), Martin Mørk Larsen (DK), Hermann Lenhart (DE), Wera Leujak (DE), Helle Knudsen-Leerbeck (DK), Thomas Maes (UK), Jorge Ureta Maeso (ES), Göran Marsh (SE), Evin McGovern (IE), Richard Moxon (UK), Bård Nordbø (NO), Koen Parmentier (BE), Ulrike Pirntke (DE), Hans Ruiter (NL), Stefan Schmolke (DE), Lars Sonesten (SE), Mark Tasker (ICES) and Robert Wilkes (IE). Karin Aquilonius (SE), María José Barahona (ES), Rob Berbee (NL), Franz Cartier (CH), Michel Chartier (FR), Jurgen Claes (BE), Bruno Fievet (FR), Annatina Müller-Germana (CH), Reinier Goud (NL), Ann-Christin Hägg (SE), Arend Harms (IAEA), Pierre-Yves Hemidy (EDF), María-Teresa Sanchez Hernando (ES), Jürgen Herrmann (DE), Günter Kanisch (DE), Sophie Lacroix (FR), Kins Leonard (UK), Joachim Löhle (CH), Saravanan Marappan (UK), Neil Marsland (UK), Inmaculada Marugan (ES), Andrew Mayall (UK), Bernard Moutou (FR), Ingo Narberhaus (DE), Henning Natvig (NO), Hugo Nilson (NO), Mette Nilsen (NO), Nathalie Reynal (FR), Gabriel Planque (FR), Aad Sedee (NL), Binika Shah (World Nuclear Association), Lionel Sombré (BE), Adam Stackhouse (UK), Augustina Sterling (ES), Christopher Strobl (DE), Eivind Stubø (NO), Vesa Tanner (EC), Cristina Tanzi (NL), Diego Telleria (IAEA), Jamie Townes (World Nuclear Association), Catherine Organo (IE), Dorothée Pac (AREVA), Stuart Page (UK), Isabel Paiva (PT), Mark Pettitt (UK), Hans Wanner (CH), Kate Ward (UK) and John Waring (UK). Ivan Abdoellakhan (NL), Audrey Banner (UK), John Campbell (IOGP), Thomas Collette (NL), José Manuel González Corbal (ES), Margot Cronin (IE), Hans-Peter Damian (DE), Sinead Dooley (IE), Kim Gustavson (DK), Joerg Koehli (EC), Uta R. Kraus (DE), Charlotte Morgensen (OSPAR Secretariat), Henrik Bechmann Nielsen (DK), Anja Elisenberg (NO), Ann Mari Vik Green (NO), Sigurdur Ingason (IS), Wendy Kennedy (UK), Brigitte Lauwaert (BE), Kurt Machetanz (DE), Emil Bach Madsen (DK), Mikael Palme Malinovsky (DK), José Manuel Marques (PT), Saravanan Marappan (UK), Carole Mercier (FR), Bill Morrissey (IE), Mette Nilsen (NO), Charlotte Nithart (Robin des Bois), Lex W A Oosterbaan (NL), Michail Papadoyannakis (EC), Itziar Martin Partida (ES), Laura Piriz (SE), Noel Regan (IE), Nik Robinson (EISCA), Ingeborg Rønning (NO), Bob Rowles (UK), Derek Saward (UK), Keith Schofield (ISPC), Lovisa Zillen Snowball (SE), Roxana Suhring (UK), Reidunn Stokke (NO), Andrew Taylor (UK), Irene Thomson (UK), Øyvind Tuntland (NO), Sibylle Vermont (CH), and Christian Wimmer (EC). Members of OSPAR’s coordination group: Sagrario Arrieta Algarra (ES), Stéphanie Belna (FR), Sesselja Bjarnadóttir (IS), Jon Burgwald (Greenpeace), John Clorley (UK), Donal Cronin (IE), Richard Emmerson (SE), Saskia Van Gaever (BE), Anne Lotte Gjelsnes (NO), Justin Gwynn (NO), Helene Imislund (NO), Adrian Judd (UK), Ralf Kaiser (DE), Tina Kelder (NL), François Lengrand (FR), Stephen Malcolm (UK), Saravanan Marappan (UK), Jose Manuel Marques (PT), Colin Moffat (UK), Marie-Anne Mortelette (FR), Richard Moxon (UK), Ingo Narberhaus (DE), Christina Fevejle Nielsen (DK), Hanne-Grete Nilsen (NO), Annika Nilsson (SE), Karl Norling (SE), Lex Oosterbaan (NL), Michail Papadoyannakis (EC), Sara del Rio Paredes (Greenpeace), Dominic Pattinson (UK), Eirik Drabløs Pettersen (NO), Patrick Roose (BE), David Santillo (Greenpeace), Nina Schroeder (DE), Ludovic Schultz (FR), Carole Semichon (FR), Whit Sheard (Greenpeace), Ana Margarida Silva (PT), Wouter Jan Strietman (NL), Isabelle Terrier (FR), Wim van Urk (NL), Sebastian Valanko (ICES), Sebastien de Vaujany (FR), Antonio Fernandez y G de Vinuesa (ES), Jeroen Vis (NL), and Andrea Weiss (DE).